Barack Obama is visiting Disney World. Besides promoting tourism, the trip should provide some valuable experience going into the reelection campaign . 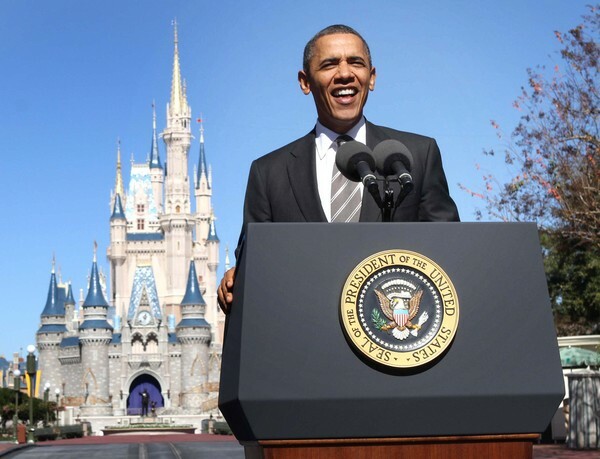 Visiting Fantasyland gave Obama a preview of the fact-free campaign which is to be expected from the Republicans. Seeing Pirates of the Caribbean will provide insight into Bain Capital should Mitt Romney become the Republican candidate. Not that he needs more foreign policy experience, but just visiting Epcot will give Obama a strong lead over Romney on this subject.